Family Action is dedicated to supporting families of children with Special Educational Needs and Disabilities (SEND). Our advice services offer confidential and impartial information, striving to ensure needs are met and barriers to accessing services are highlighted and addressed. We believe diversity is something to be celebrated, and have inclusivity at the heart of our work with young people with SEND. 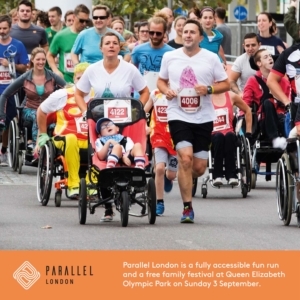 On Sunday 3rd of September, join us at Parallel to celebrate inclusity and support Family Action’s work with children with special educational needs and disabilities. Parallel London is the world’s only fully inclusive multi-distance fun run. 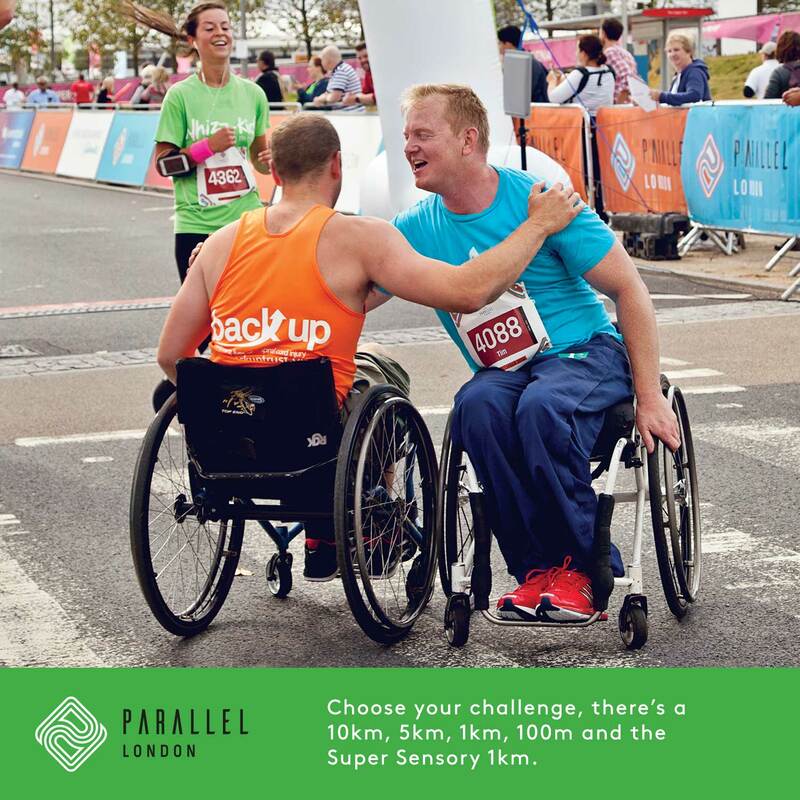 With a choice of distances between 100m, 1k, 5k or 10k, and free spaces for buddys, Parallel London is an exciting opportunity for all people to come together and challenge themselves. There are no cut off times and mobility aids are actively encouraged. In 2016, 3,100 people took part. Of these, 41% declared themselves as having a disability. Whatever your reason for support – whether you have a disability yourself, have a family or friend who does, or want to help make society a more inclusive place – we hope you will join the thousands this September. If you are interested in running for Family Action, please contact us, or find out more here.